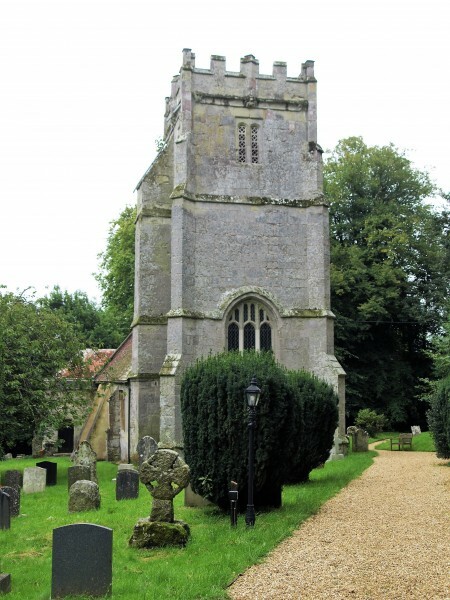 The main featured image above shows the 13th century church of St Olave from the south-east. 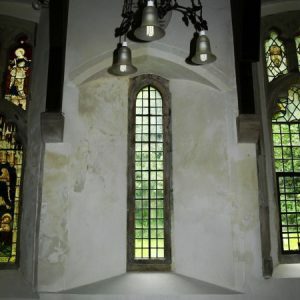 The dedication to St Olave is unusual, and it is not known why the church was dedicated to him. (Olaf was a Viking King in the 11th century, and converted to Christianity, probably in England, then establishing the Church of Norway. After his death he was canonized when miracles were reported at his tomb. He is the patron saint of Norway). 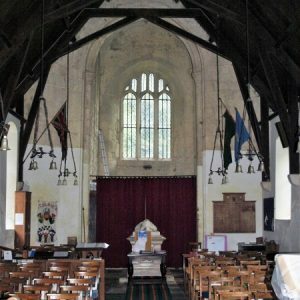 The church consists of a 13th century nave, without aisles, a chancel which was rebuilt in 1864, a 15th century tower, and a south porch. 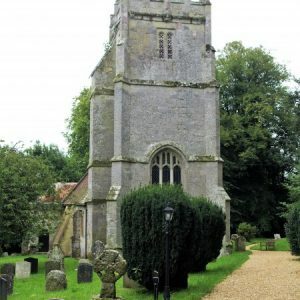 The latter is built of greensand rubble as is the nave, indicating that the porch is of the same early date as the nave. 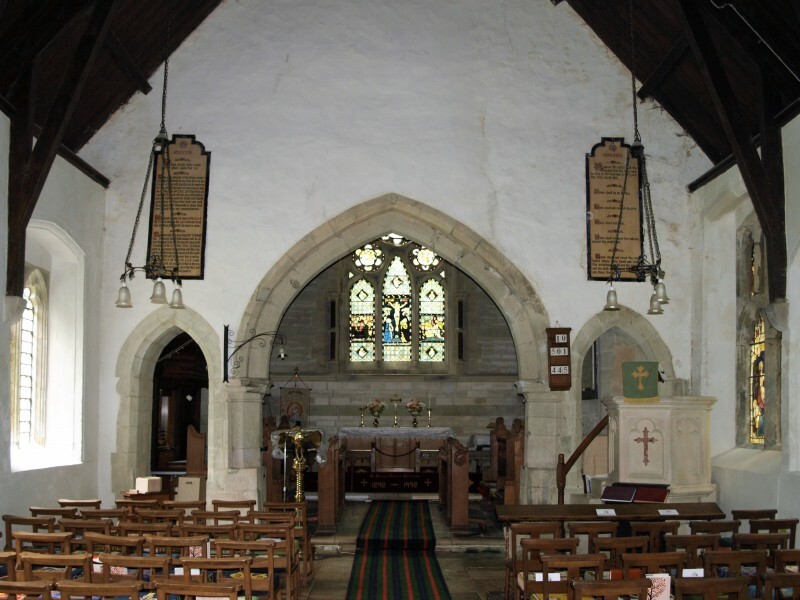 The porch roof is of stone slates and has a saddlestone with grotesque carved head and cross. 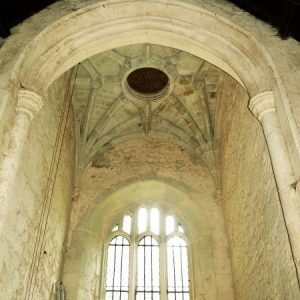 The first photograph in the gallery below is of the vaulted ceiling in the tower. The Gothic style vaulting is, in fact, modern work. 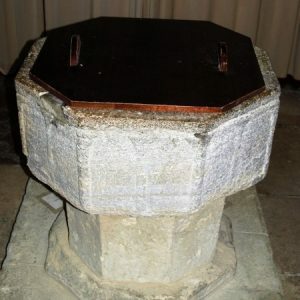 The opening in the centre is for the bell ropes. 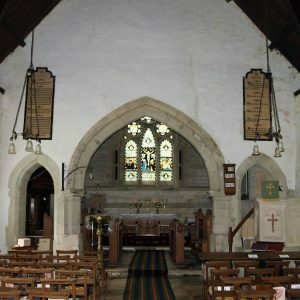 The second photograph is a view eastwards along the nave to the 13th century chancel arch. The stonework to the openings either side of the central arch is 20th century. 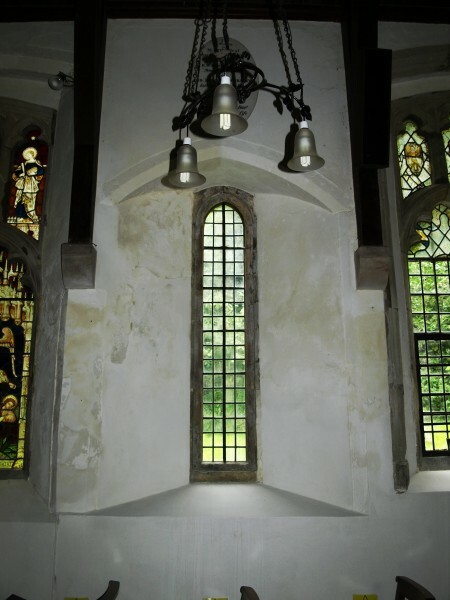 The third photograph shows the 15th century window in the nave south wall. 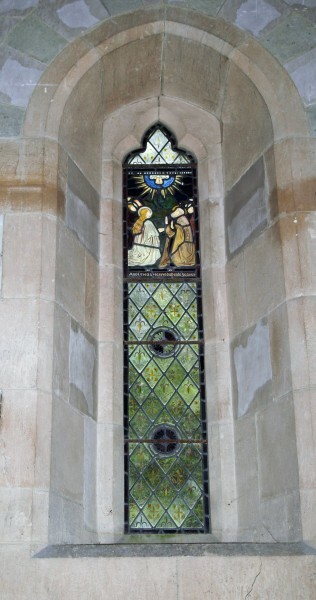 The four top-lights contain ancient glass, contemporary with the window, depicting angels. 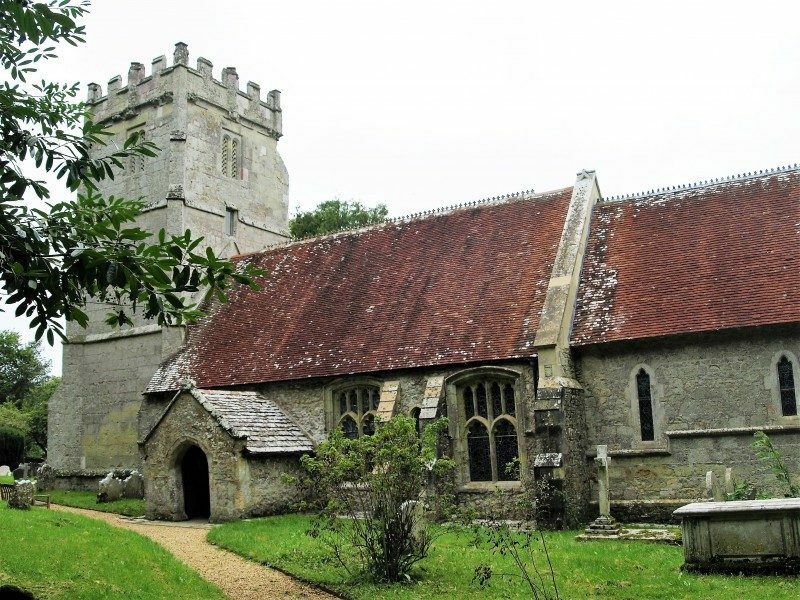 To the east/left of this, and between two external buttresses is a tall lancet in deep splays, which is probably a 13th century original. 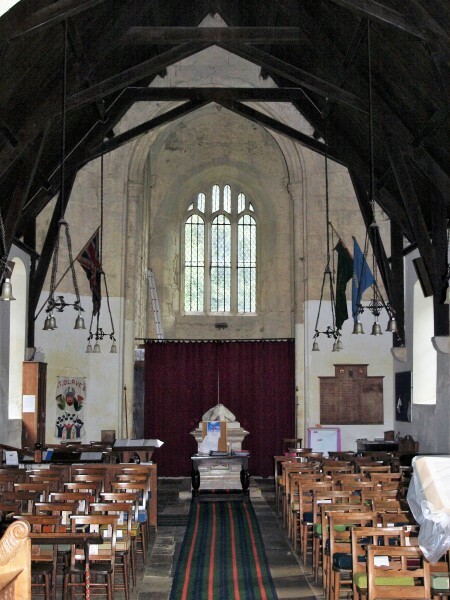 This is shown in the next photograph. 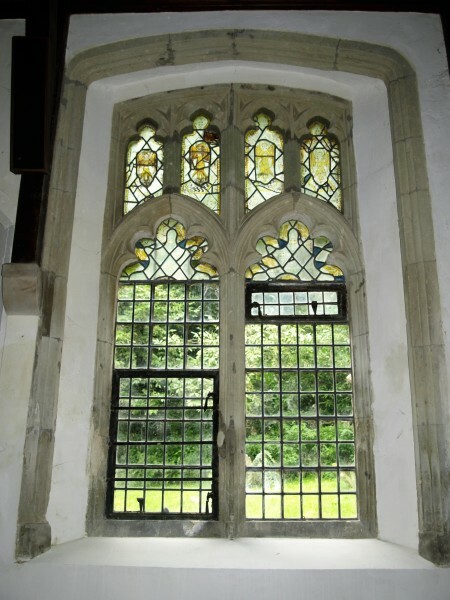 There is a second, matching, 15th century window with two cinquefoil headed lights, and four trefoil headed top-lights, to the east of the lancet. 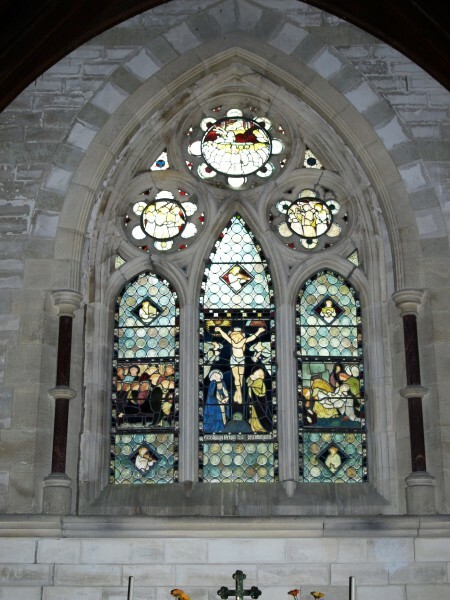 Shown next is the Decorated style east window, historically important for its pre-Raphaelite stained glass. 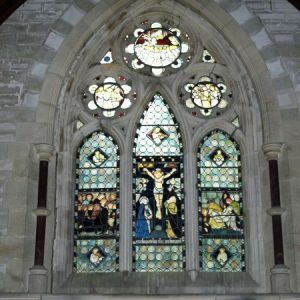 Subjects depicted include the Last Supper, the Crucifixion, and the Entombment. 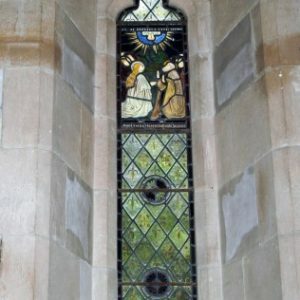 Finally in this gallery is a photograph of a lancet window in the chancel with stained glass showing the Ascension. The biblical script reads ‘and He was received up into heaven’. 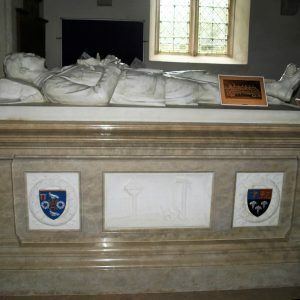 The first photograph in the second gallery below shows a chest tomb in the nave. 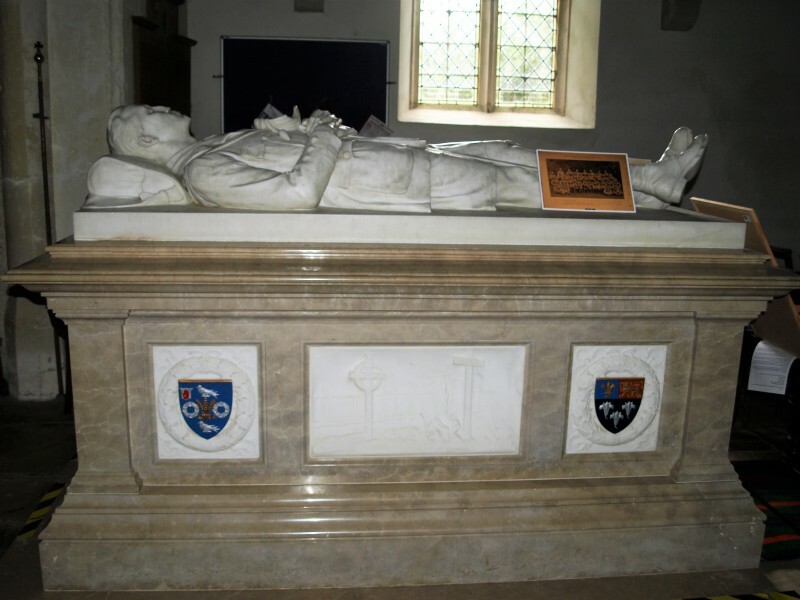 The recumbent figure is in memory of Captain Charles Grant Seely who was killed in action in the WWI Second Battle of Gaza on 19th April 1917. 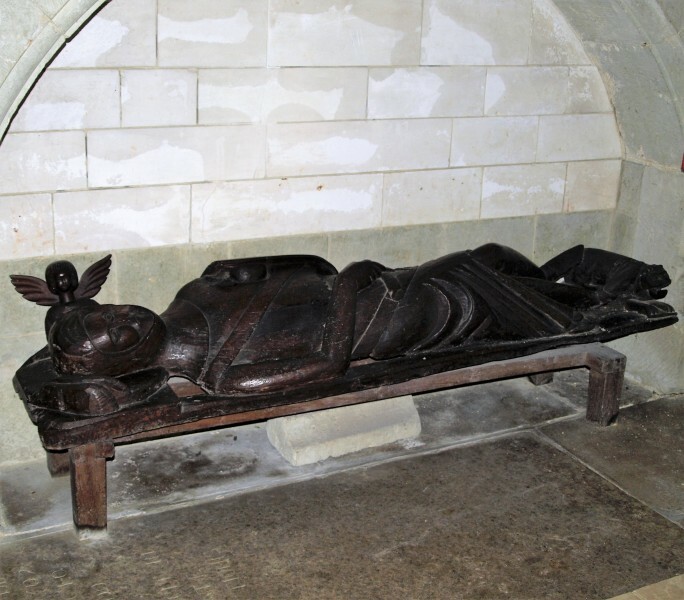 The next photograph is of a fine 14th century oak recumbent figure of a crusader with a lion at his feet and an angel at his head. 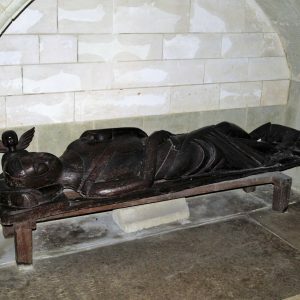 The name of the crusader to whom the effigy is dedicated has been lost over the years. 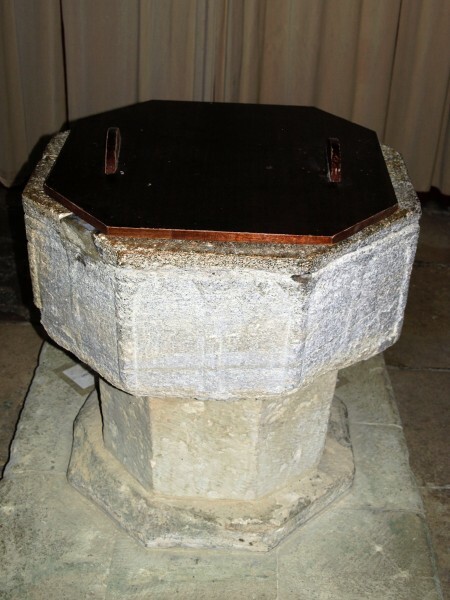 The third photograph is of the early medieval Purbeck marble font. The octagonal sides of the bowl are carved with 2-arch arcades. 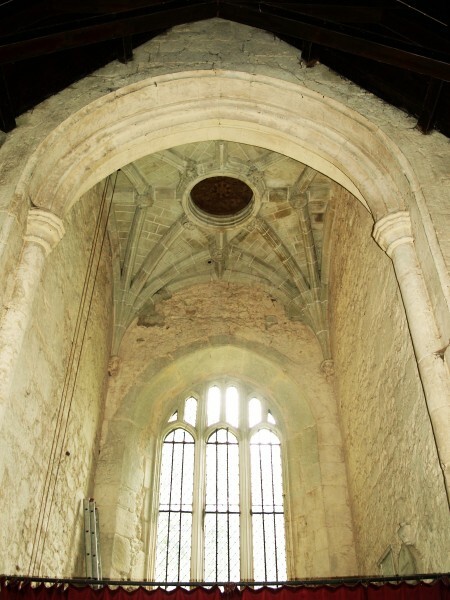 The next two photographs show the 15th century west tower, from outside, and internally viewed from the nave. The tower is in three stages with crenelated parapet and grotesque heads carved on the top string course. 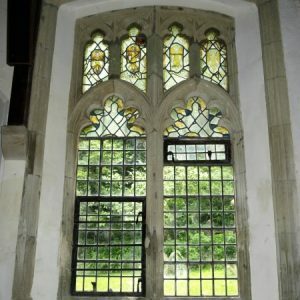 The west window is Perpendicular Gothic, having tall triple lights with six narrow lights over. 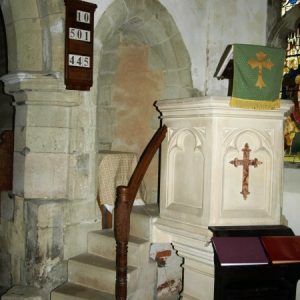 Finally shown, in front of the right-hand (south) arched opening in the chancel arch wall, is the fine modern stone pulpit. 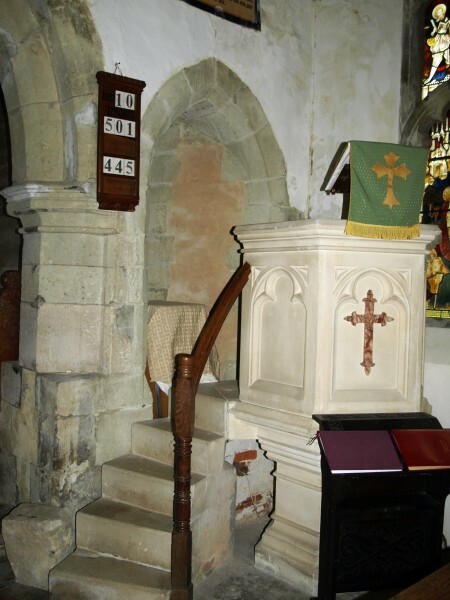 Steps behind the pulpit appear to have been part of the rood stairs, pre-Reformation.